IIFT Preparation | How to Prepare for IIFT | How to crack IIFT? How to prepare for IIFT? CAT is done. Analysis and thinking about it is not going to help, so better focus your energies elsewhere. Learn from your mistakes in the exam and do not assume that you will make the same mistakes in other exams. Remember, the advantage with multiple exams is that you get multiple chances to do well: so essentially it is on you whether you view the glass jar as half-empty or half-full. So, let’s dig into the key things you should keep in mind for the exam. IIFT is a pen and paper exam and this means that you should practice taking mocks in this format. Download previous year exam paper PDFs, take out prints and solve them as 2 hour tests. The exams for the last 2 years should be more than enough for this purpose. Also, these two papers will provide you an exact idea of what to expect in the exam. Considering IIFT is a 2-hour exam, it tests you on speed as well as accuracy. In fact, most questions are not that difficult but you simply won’t have the time to solve everything. Therefore, be ready to skip questions and search for the doable ones. Getting stuck is not an option in this exam. 3. Remember, you have to mark answers! Why is this a point? Well, there are some students who solve the questions and don’t mark the OMR side by side. This leaves some of them pretty vulnerable and people have missed marking answers on the OMR previously. Make sure you mark the answers side by side and make this a part of your time-management. Overall, the cut-offs for the sections are generally pretty low and it is easier to cross them (in comparison to other exams) but you cannot screw-up a section. Make sure you attempt the bare minimum questions in every section to do well. This is going to give you an exact idea of the topics and major areas that appear in the exam. 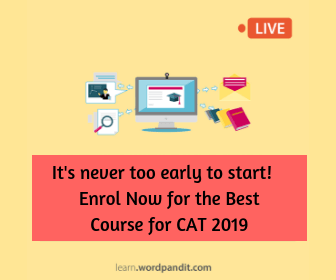 It is important to understand the nature and structure of the exam. Time management is the key for the exam. Make sure you devise a section/sub-section wise breakup based on your strengths. Ideally, you can give about 10 minutes to GK and then divide the remaining time depending upon your strengths. You can add or subtract 5 to 7 minutes from these sections based upon your strengths and weaknesses. The IIFT exam has a peculiar structure and it appears it consists of various sections and sub-sections. Let’s analyse what you need to do in each of these. The Verbal Ability section consists of questions based on Vocabulary and Grammar. The exam last year sprung a surprise by featuring a crossword in this section. In such scenarios, when you are not ready for such questions, you can skip them at first and come back to it later, if you have time. Questions are asked on basic rules of Grammar and punctuation. Make sure you revise them. Along with these, questions are occasionally based on Word Roots and spellings. There is not much you can do at this stage but you can prepare for these areas and revise words/grammar rules you have covered till now. In general, IIFT RCs have been very lengthy but last year beat that trend by featuring RCs that were shorter and that contained quite a few factual/direct questions. Considering this, you should be ready for both eventualities: long RCs or short RCs. Since time management is the key, make sure you go through the questions before you read RCs and identify the ones which are worth investing time in. Questions which ask you identify which of the following is not true or want you to identify the correct statements/inferences from a given set will take up a lot of time and you should avoid these. Remember, time is of essence here. Also, don’t go in the with the mindset that you are not going to solve any RCs. The easy nature of some RCs featured makes them sitters and you should most definitely not regret on missing out on these post the exam. This is one section that you can probably go for right at the start of the exam. 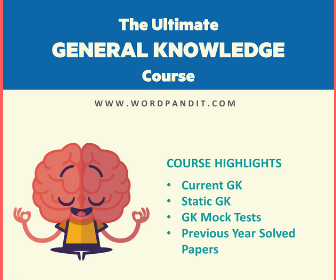 Remember, the trick with GK is that you should gauge the section level and try to solve as many questions as possible without getting into the trap of over-analysing and spending too much time on the section. If the section is on the easier side, then you attempt the section aggressively. 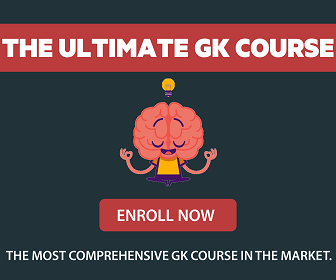 If the section is tougher, then lower your attempt and keep in mind that a tough GK section will have a very low cut-off. In general, the cut-off for this section is pretty low and do not randomly guess questions. A couple of extra negatives might cost you the section cut-off. Some of these topics are not a part of CAT and this means that you might not have prepared for these. So make sure you spend some time on these and are ready for questions from these topics. Traditionally, IIFT DI section has been one of the toughest simply for the reason that it features extremely calculation intensive sets. Last year, this trend was bucked and some of the sets were easier in comparison to the previous years. But still, some sets retained the IIFT nature and required extensive calculations. Considering the time required by these, it makes sense to give greater weightage to LR than DI. But then again, be aware enough to spot any pattern changes. Cover up as much GK content as you can but remember, overloading yourself won’t help. Cover only as much as you are comfortable with. More than actual learning of concepts, you should focus on being in the right mental frame for the test. You can improve your scores by simply being ready for the different pattern that IIFT features. Most of you have solved Mock CATs and are not ready for the change. Make sure you keep this in mind. Well, this wraps up this rather long piece for IIFT preparation. Hopefully, you have learnt something valuable and you can build your exam strategy based on this.